Arie Marie My Fairy name was "Petal Gossamer Crystal Tips"😊 This was so fun, and I loved hearing everyone's names! Midge Garnes Blossom Jingle goody two shoes here ? Am wondering when and where to expect my color kit, signed up for emails and class but haven't received color kit yet ? am really looking forward to this journey Thanks again ? Andrea Petal Glimmer Sweetlips... Haha.. So me.. Too cute! Sherry This was fun, I am still giggling. 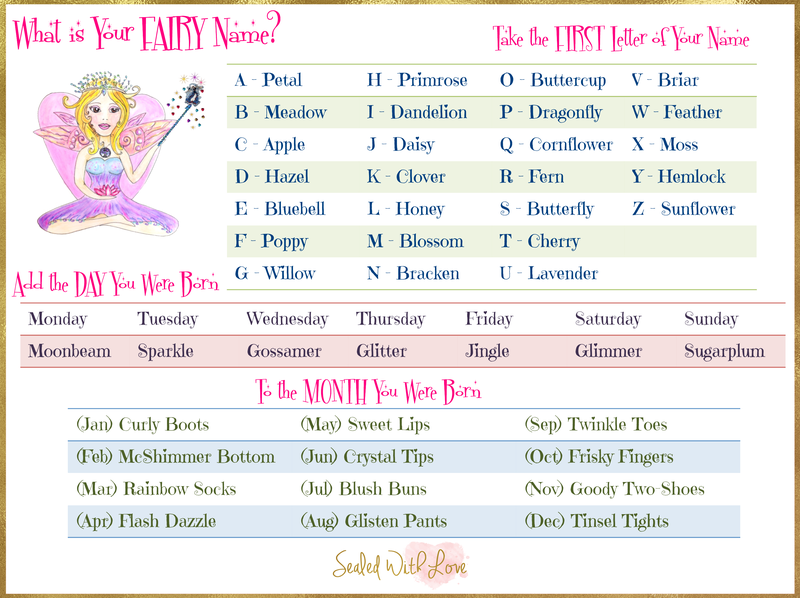 I am "Butterfly Moonbeam BlushBuns"
Lesa Thank you Elizabeth for bringing this favorite back! I love your fairy name generator! My name is Honey Sugar Plum Sweetlips!